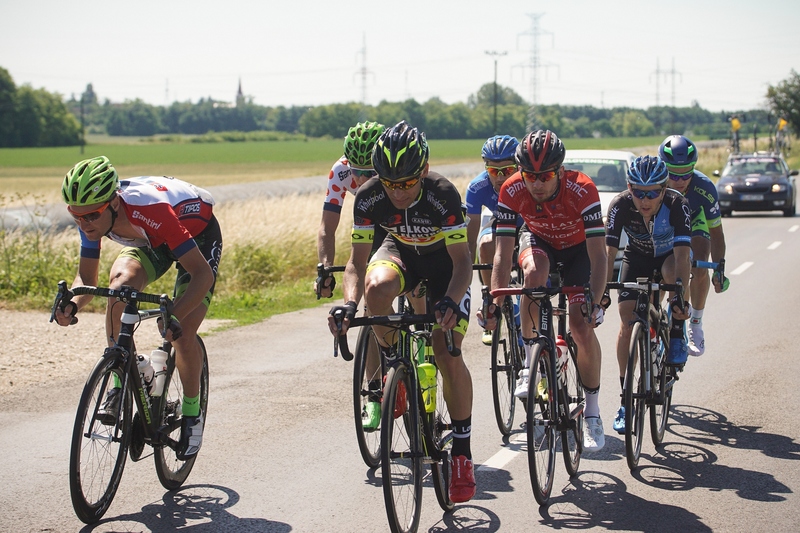 In the fourth stage, we’ve witnessed the finish of the whole pack at once. 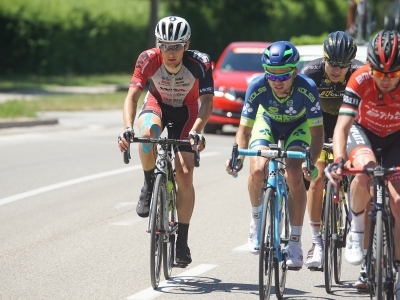 Ivan Savitskij of Gazprom-RusVelo was spurting the fastest out of the whole pack. 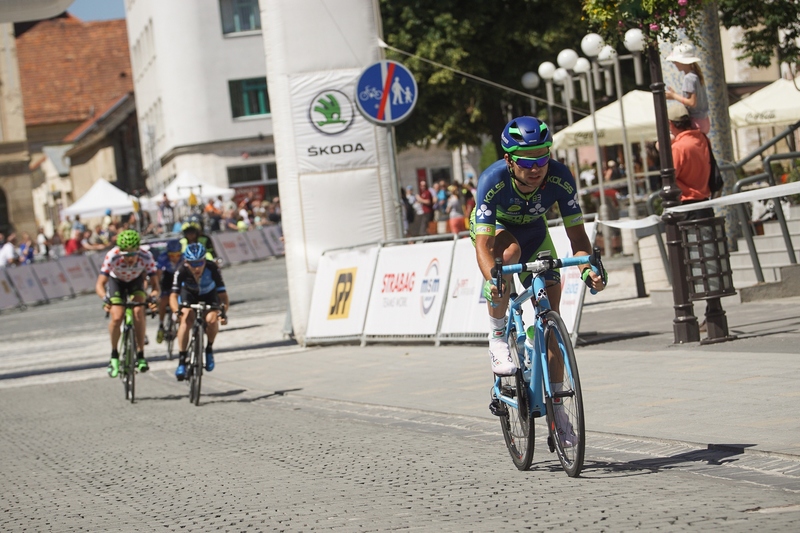 The final stage also didn’t proceed without a couple of falls. 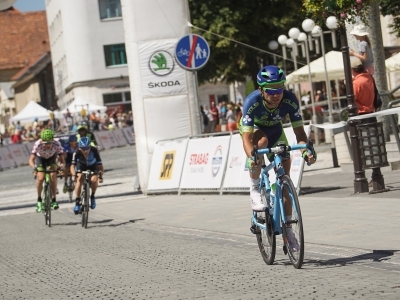 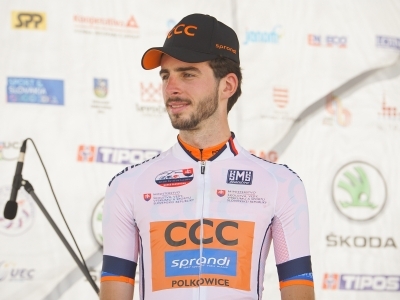 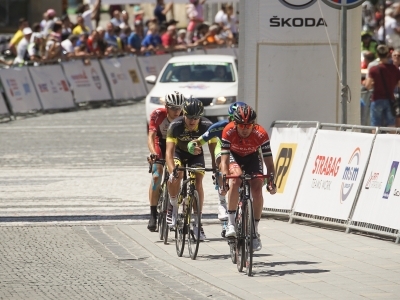 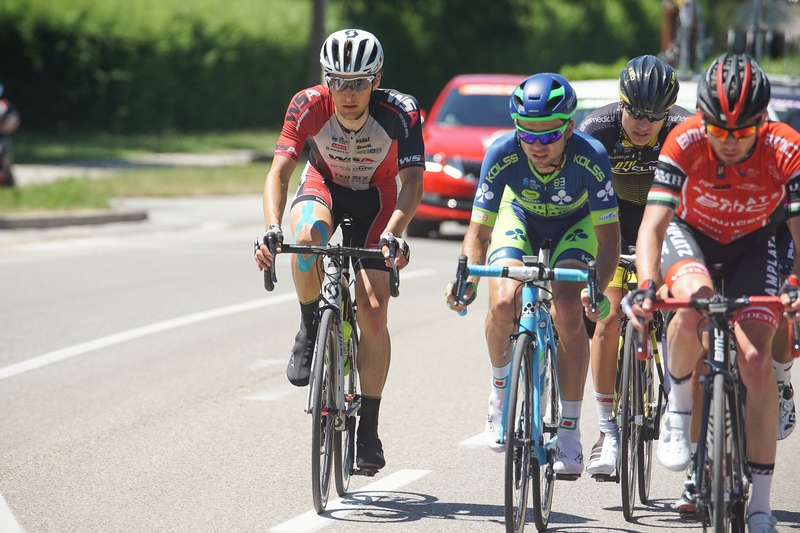 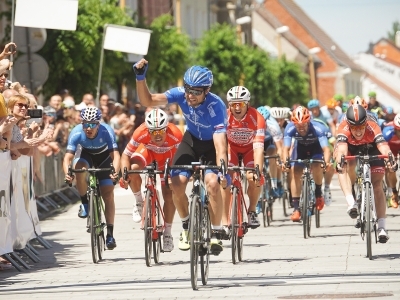 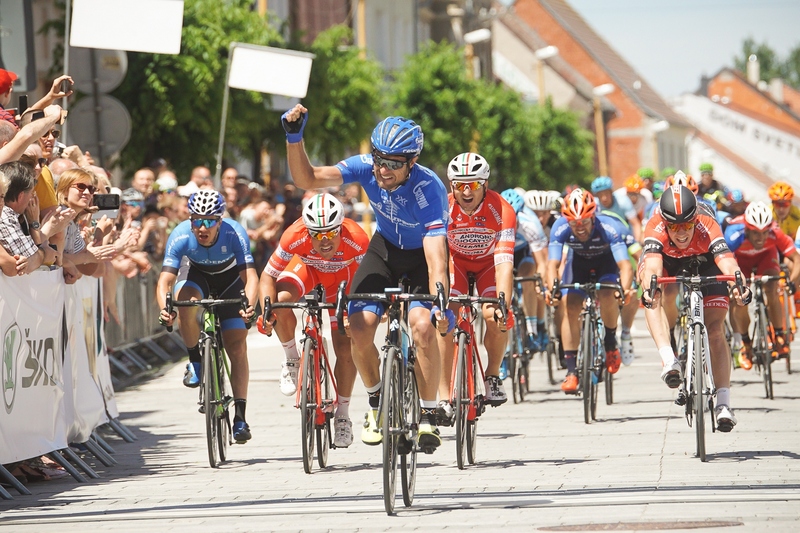 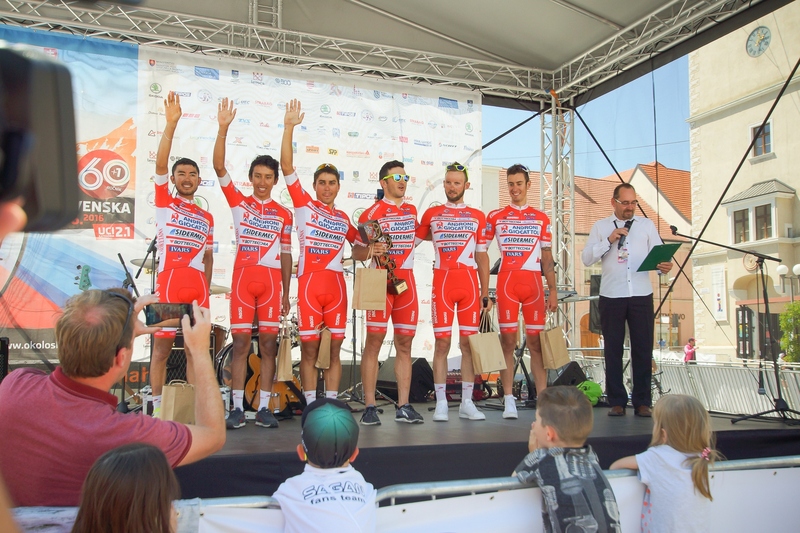 The winner of the sixtyfirst annual of The Tour of Slovakia is Jan Tratnik of CCC Sprandi Polkowice. 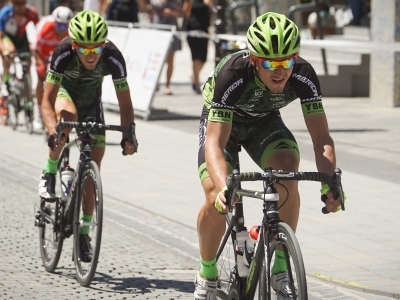 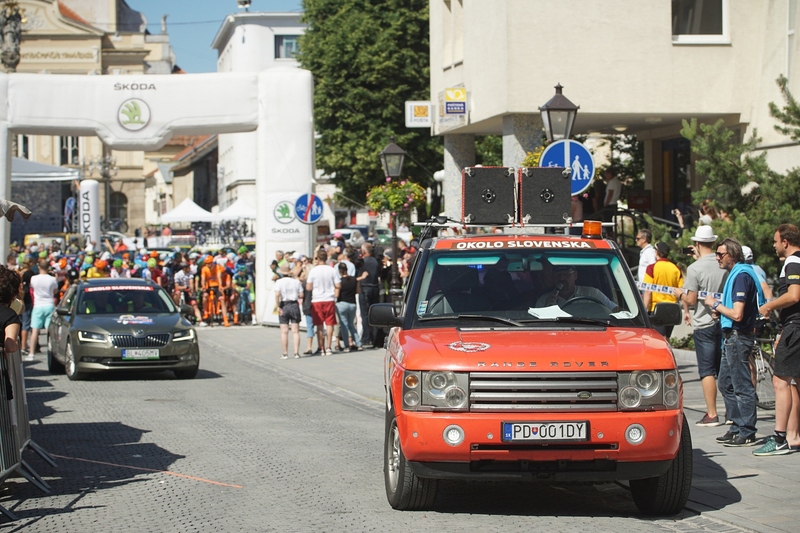 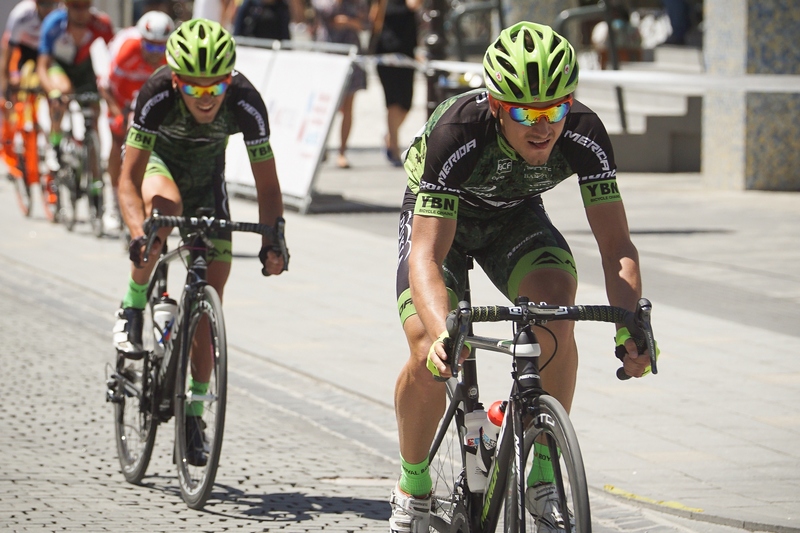 The organizers have prepared a 152 kilometers long final stage, the shortest of them all. 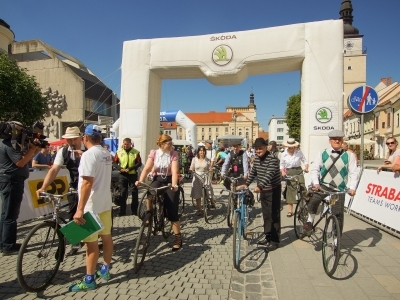 It both started and finished in Trnava, on Trojičné square. 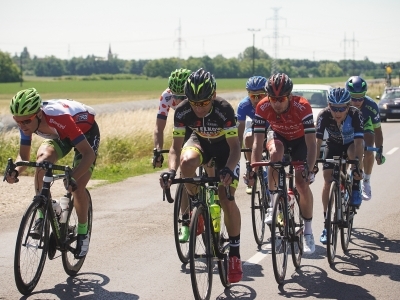 The riders had moved through ten towns and villages. 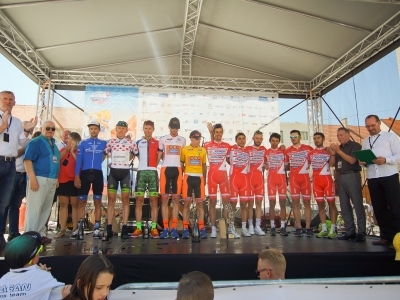 Three Sprint competitions awaited them on the track, which promised an intense fight for the yellow jersey, at least because of the first ten position, where – thanks to the time bonuses – several riders wanted to get. 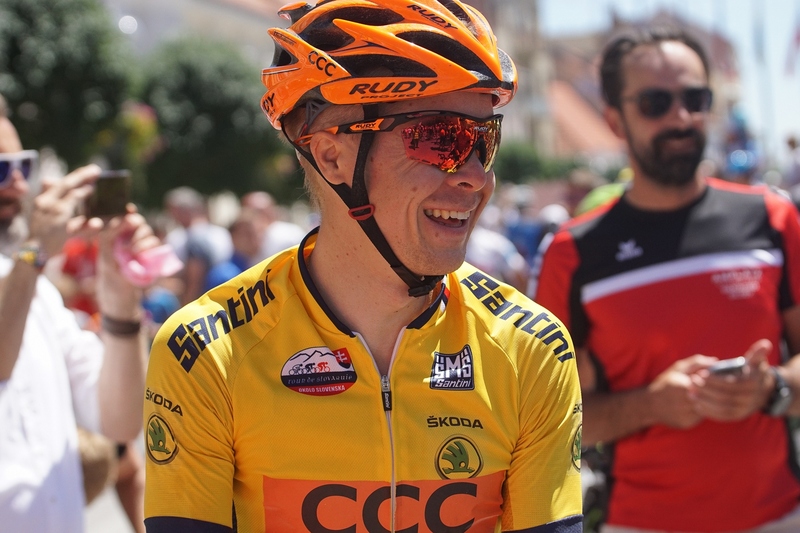 Daniel Turek could smile even before the start of the stage – he secured his jersey for the best mountaineer in the penultimate stage already. 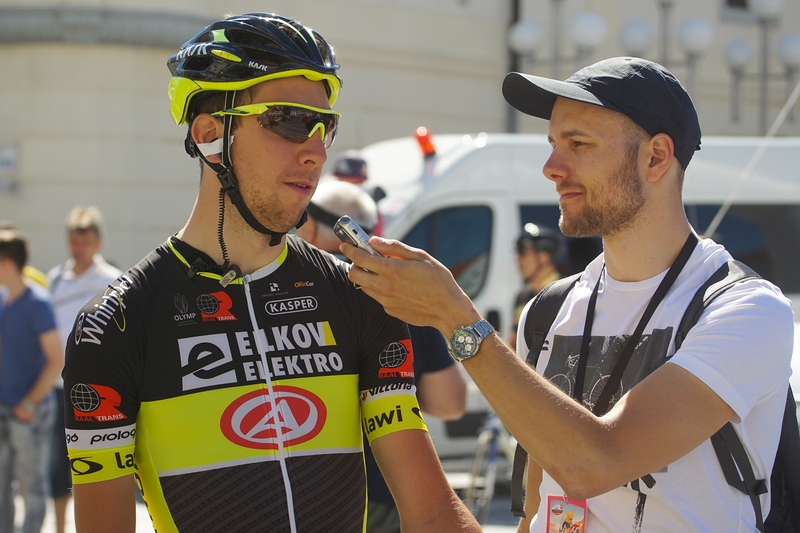 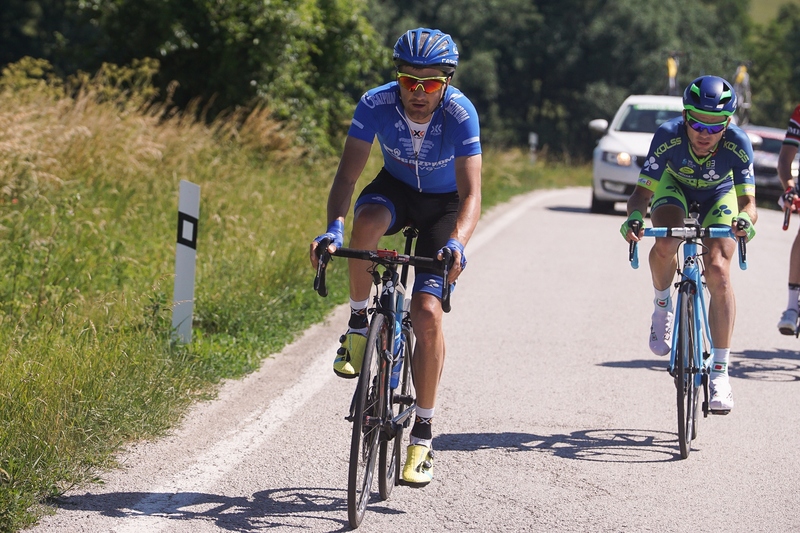 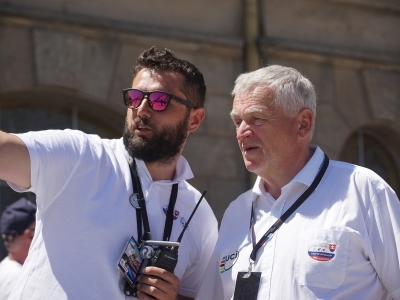 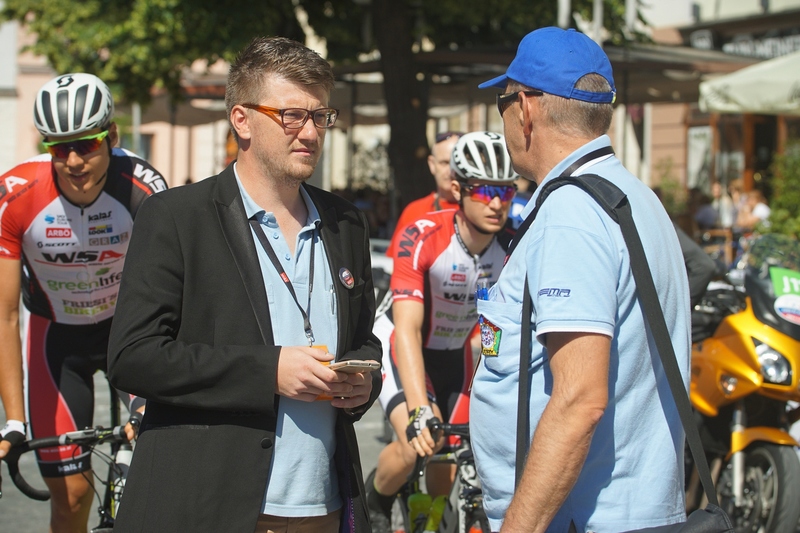 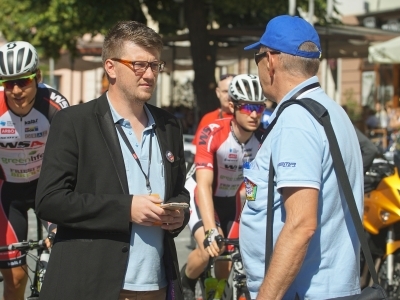 The start of the stage had brought interesting progress, also thanks to Patrik Tybor of Dukla Banská Bystrica. 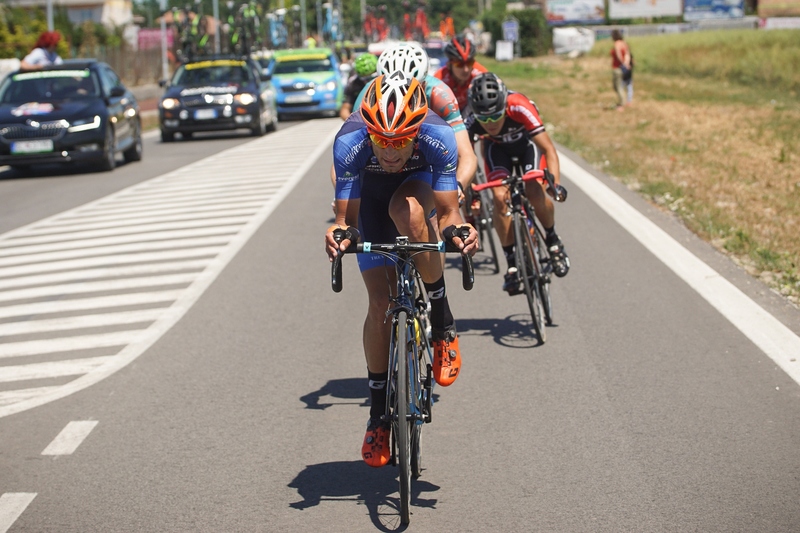 His activity reflected his will and desire to gain time bonus seconds. 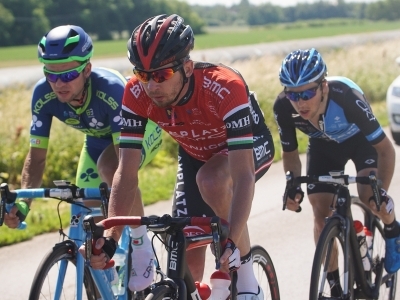 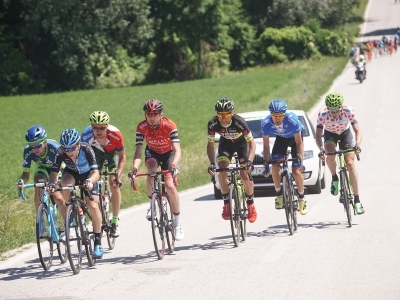 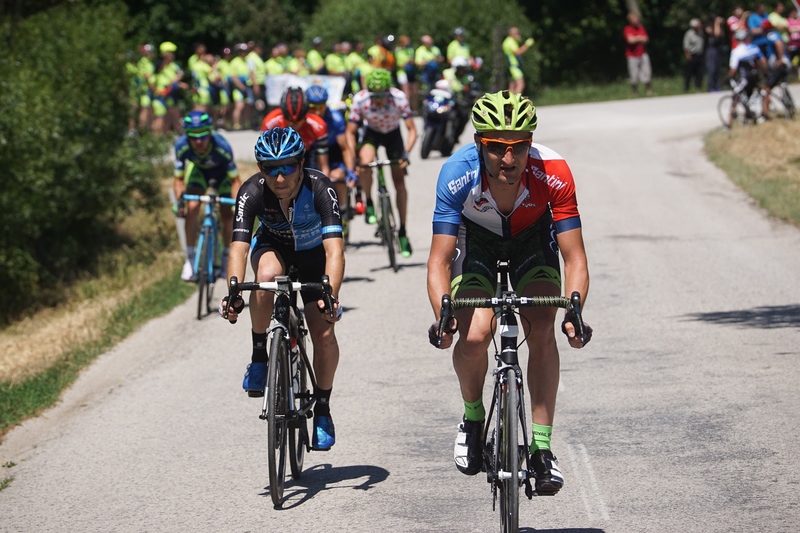 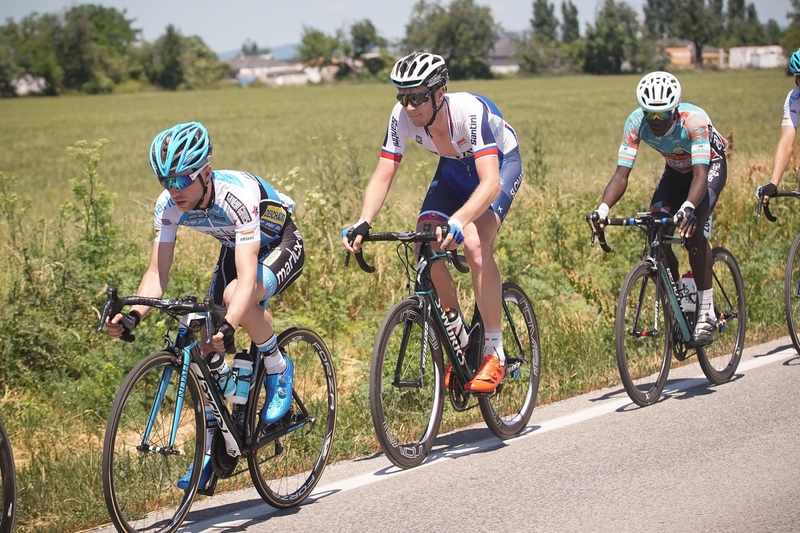 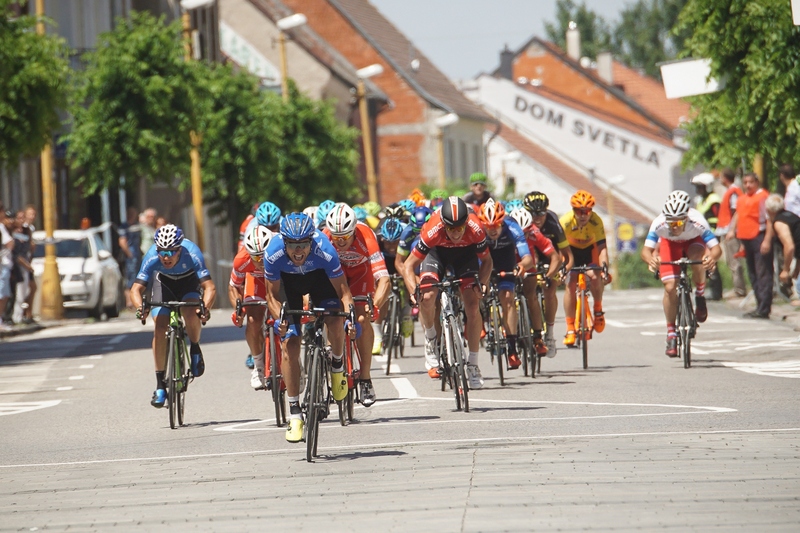 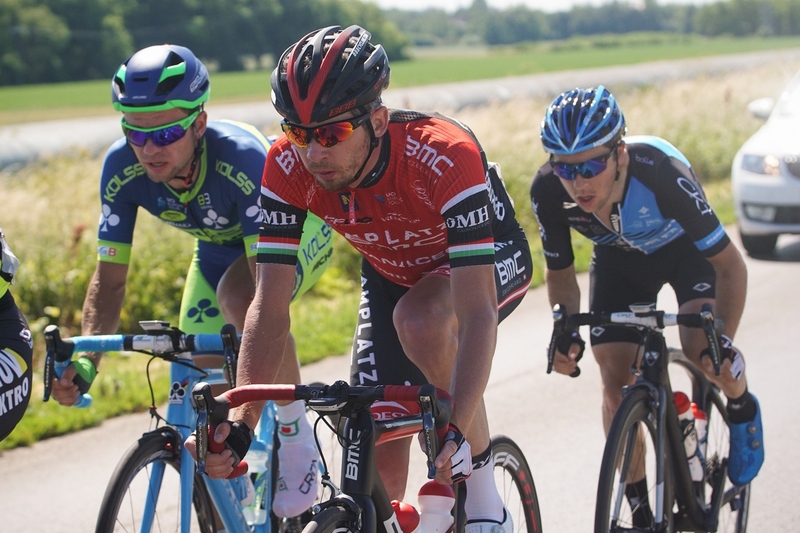 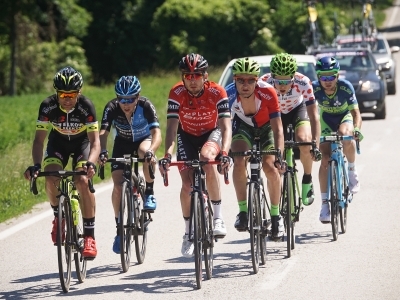 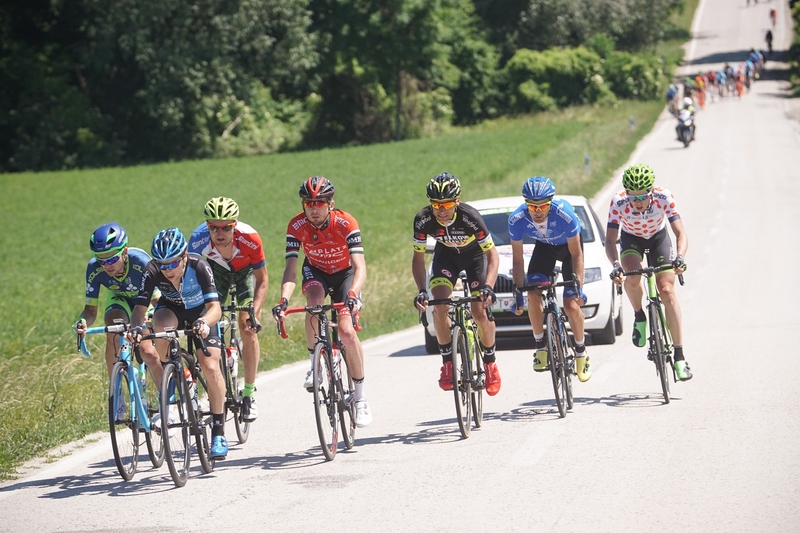 His attack was followed by Piotr Brožyna of CCC Sprandi Polkowice and Van Winden of Cycling Academy. 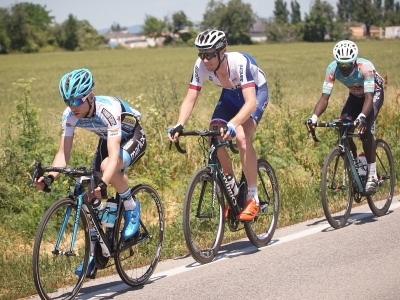 This trio managed to stay alone for mere seven kilometers, because they were dangerous riders. 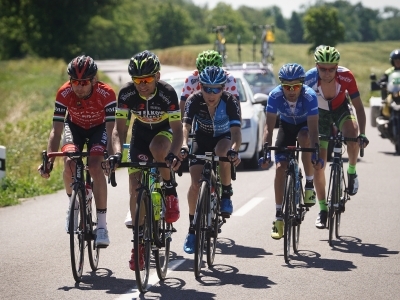 In the meantime, the peloton was always busy. 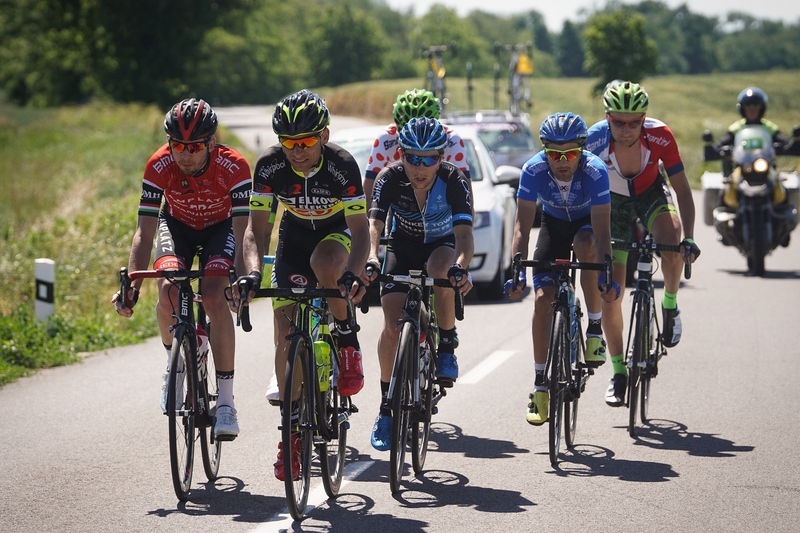 A group of six members managed to break soon after that. 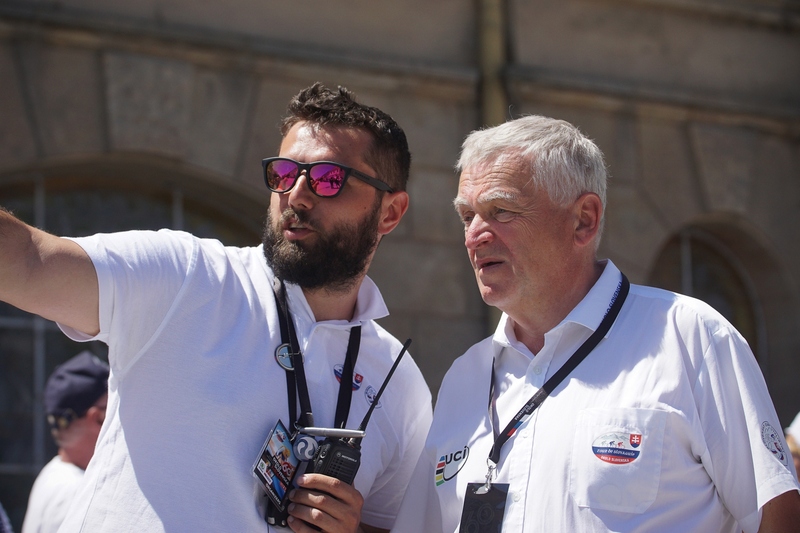 Tireless Patrik Tybor himself caught them. 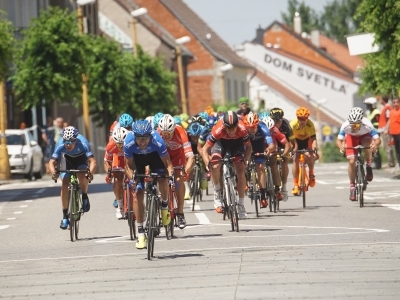 The Slovakian rider had gained maximum points on the first Sprint competition and he virtually proceeded into the first top ten positions. 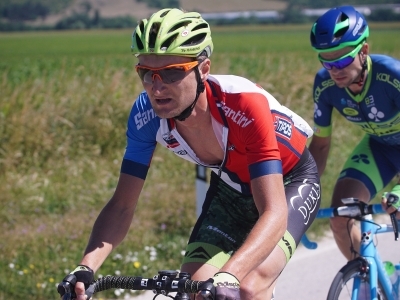 The main pack had kept the breakers on the edge of one minute lead. 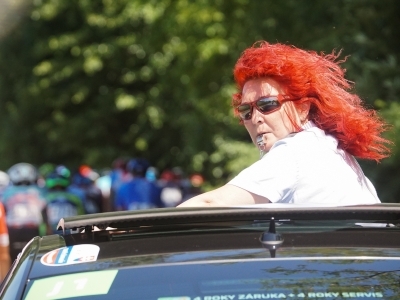 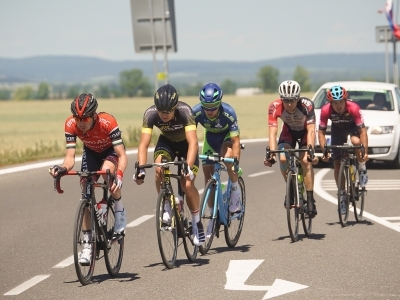 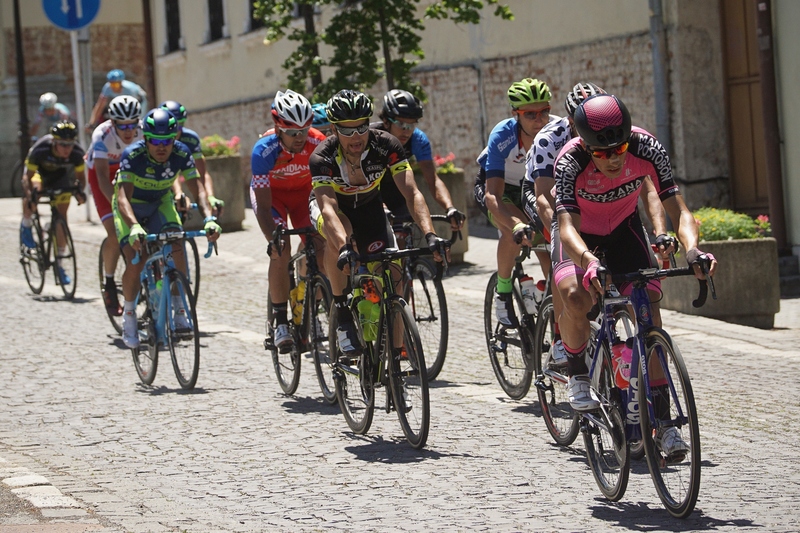 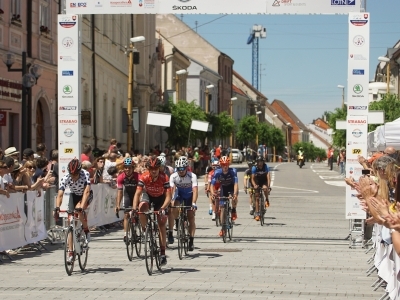 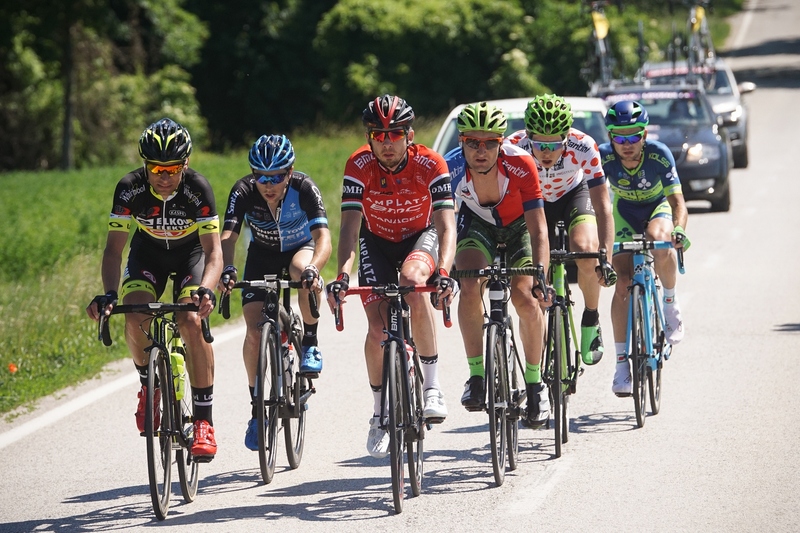 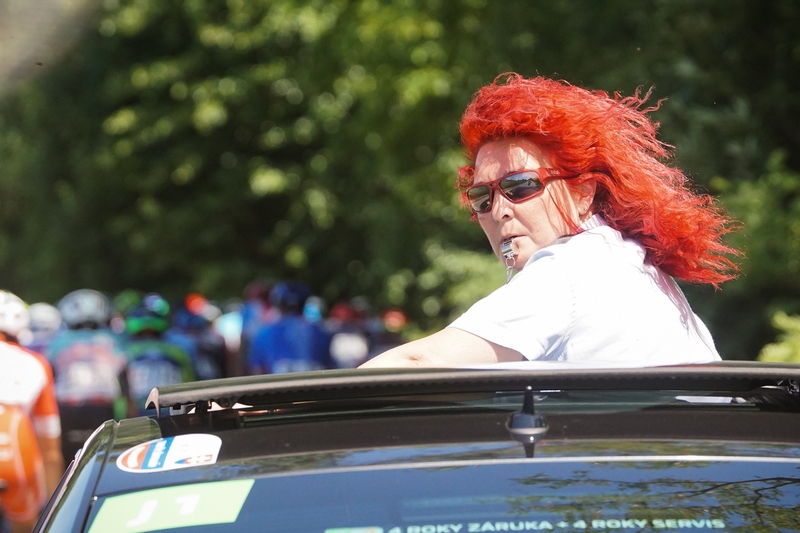 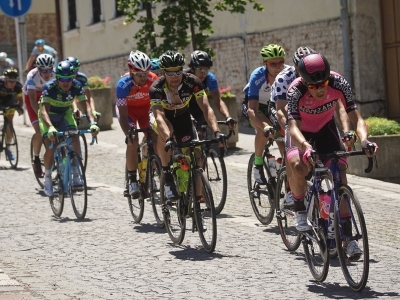 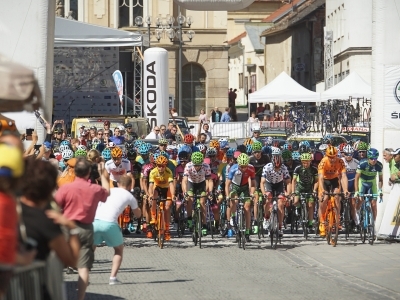 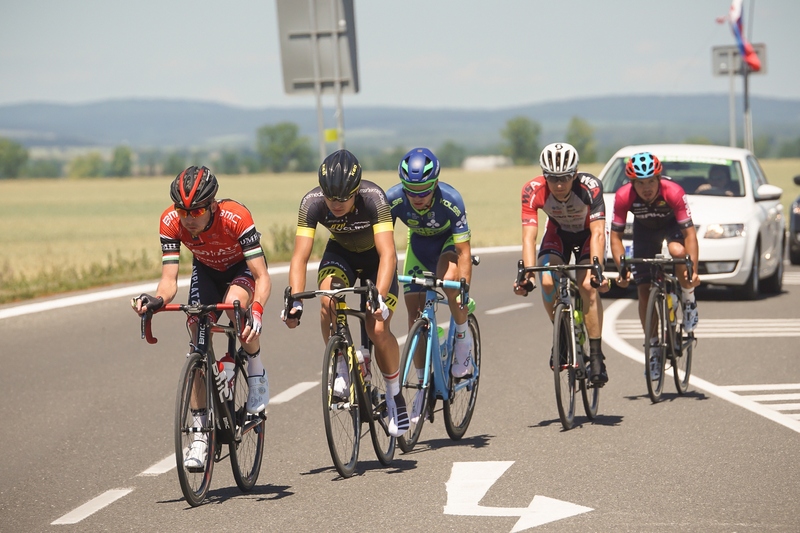 But by the end of the second circuit of Trnava, the peloton was whole again. 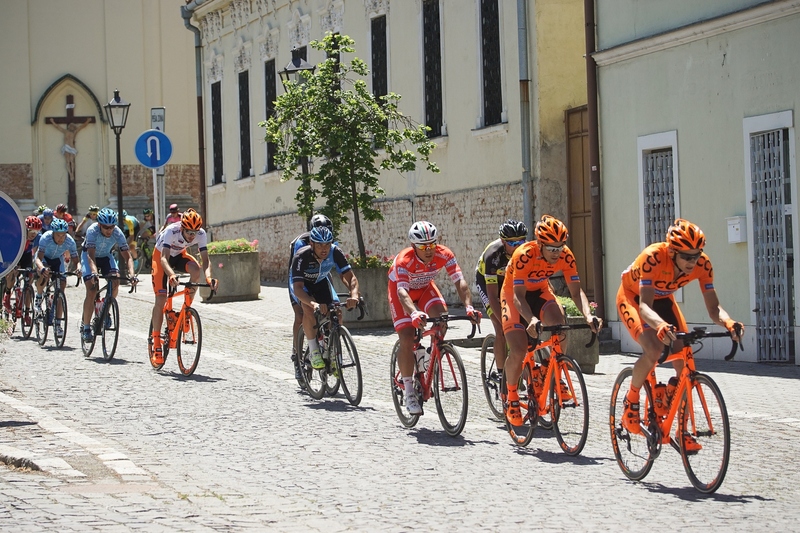 A group of five, consisting of Jabrajlov, Hamm, Bissinger, Pasztor and Vasiljuk, had managed to use this moment of peace. 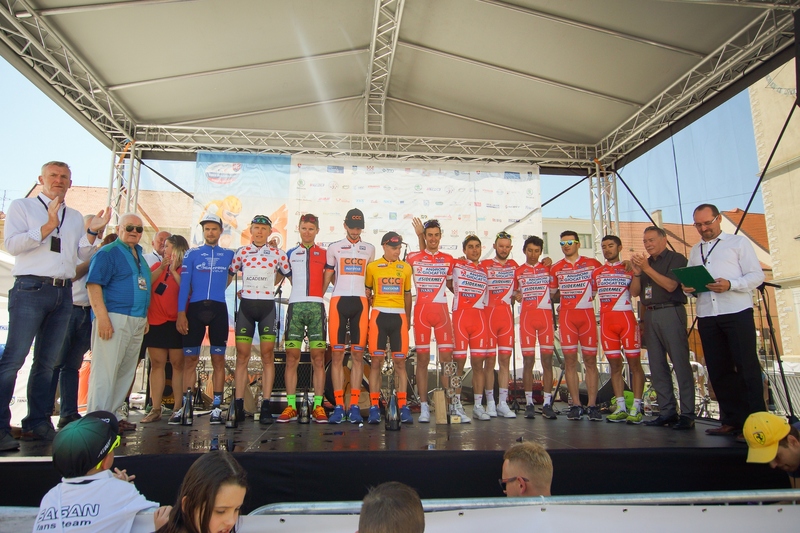 All these had started to spurt during the second Sprint competition. 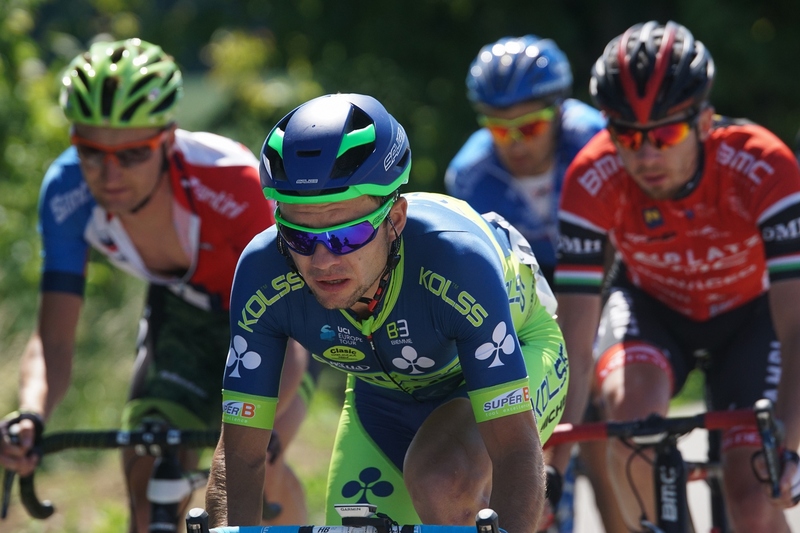 Bissinger was the first. 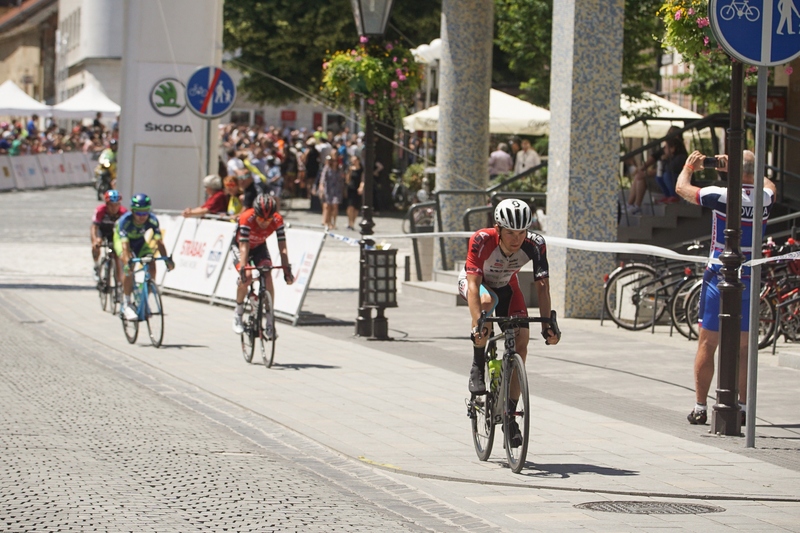 Several cyclists of Dukla Banská Bystrica, unfortunately, got a defect. 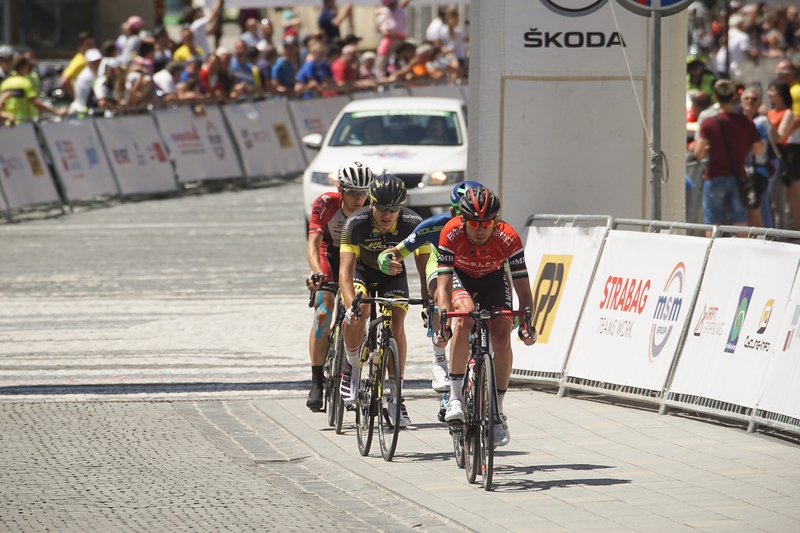 It didn’t took long and their leader, Patrik Tybor, was dragged back into the front of the race. 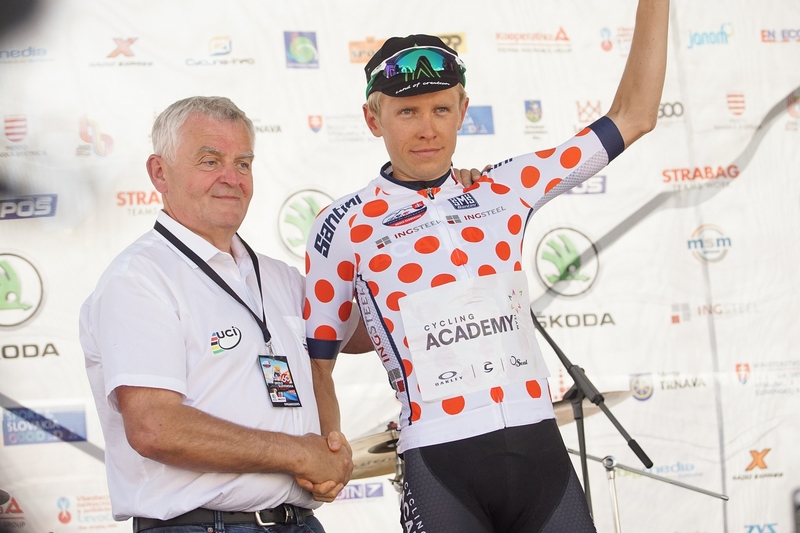 The Slovakian rider, dressed in the jersey for the best Slovakian, even had to change his bicycle. 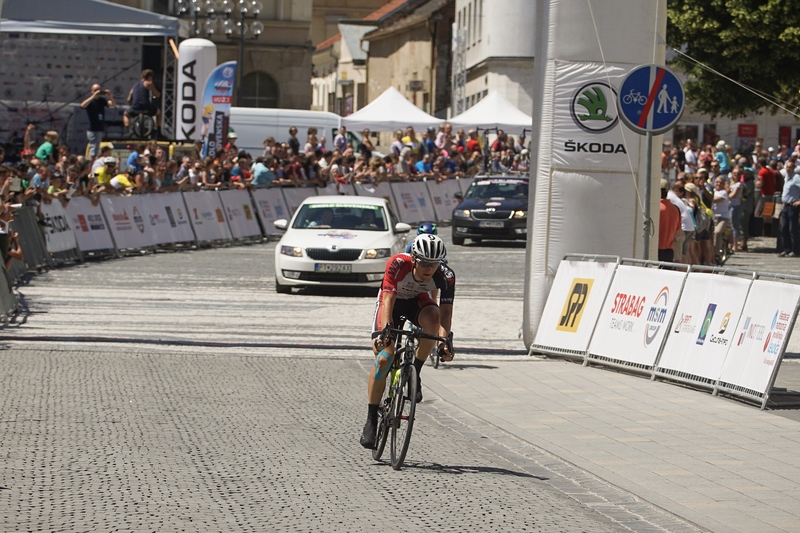 He fell close to the finish, but he still managed to get up and finish the race. 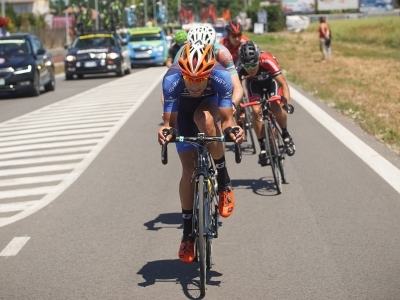 Thanks to his endurance and strong will to continue, he secured himself a seventh position. 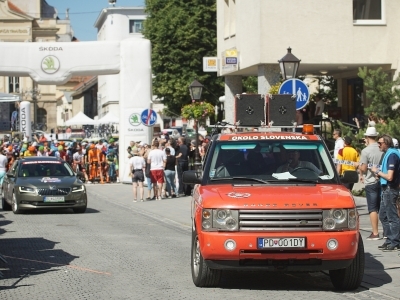 The breakers were eliminated ten kilometers before the finish line. 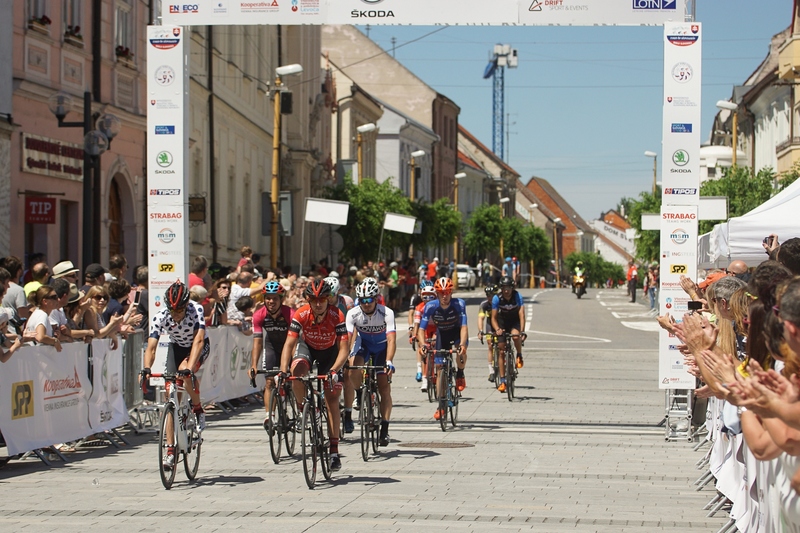 The finishing itself was quite nervous for the cyclists, because of the fall of several riders. 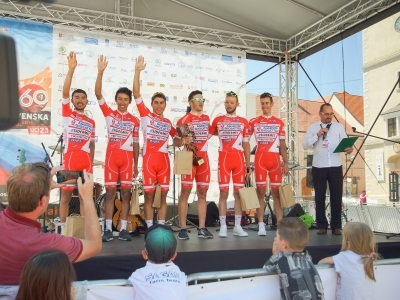 Among them, there was both the second and the third man from the overall classification – Josef Černý and Ricardo Vilela. 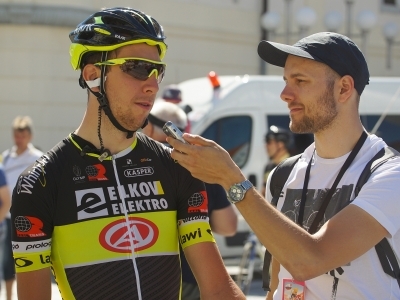 Due to the protests of Elkova and Manzany, the referees were measuring whether the fall took place already in the safety zone. 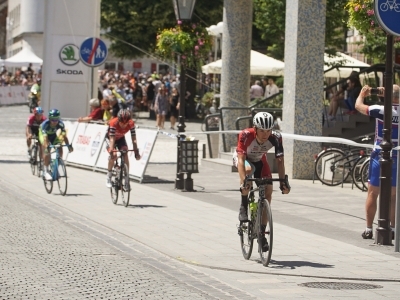 The verdict said it happened four kilometers before the finish line. 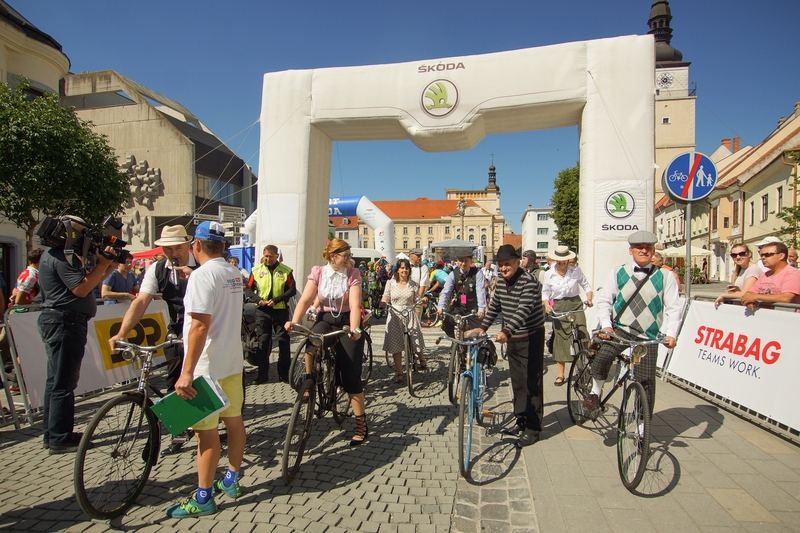 Černý and Vilela thus fell out of the stage positions. 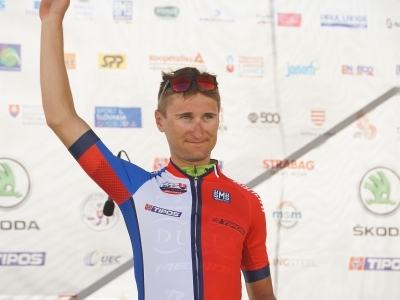 Ivan Savitskij of Gazprom-RusVelo had the most strength in the final mass spurting. 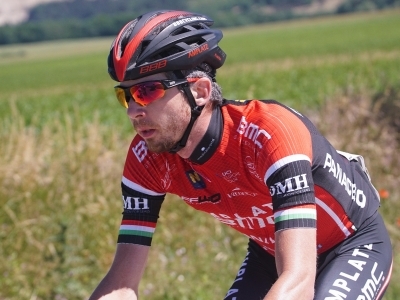 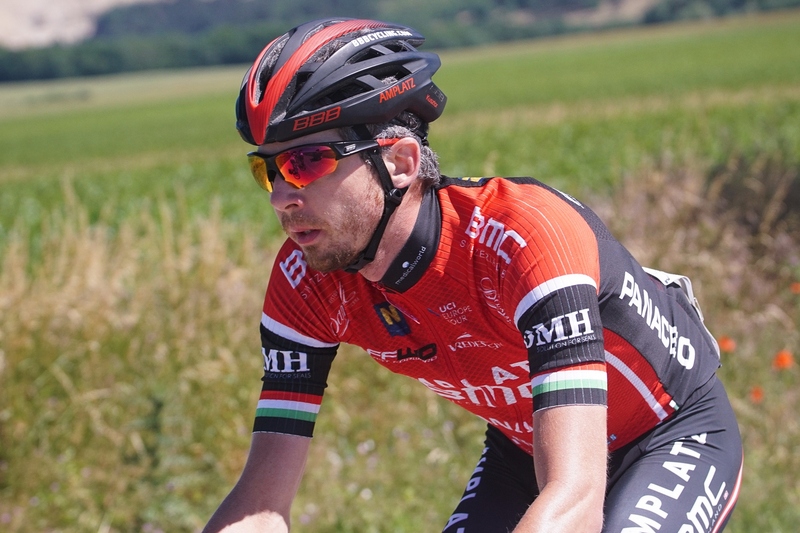 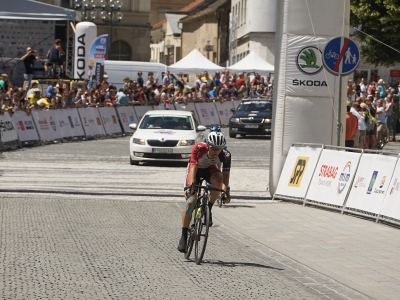 Korošec of Amplatz BMC had finished after him, and the third to cross the finish line was the winner of the second stage – Mateo Malucelli of Androni. 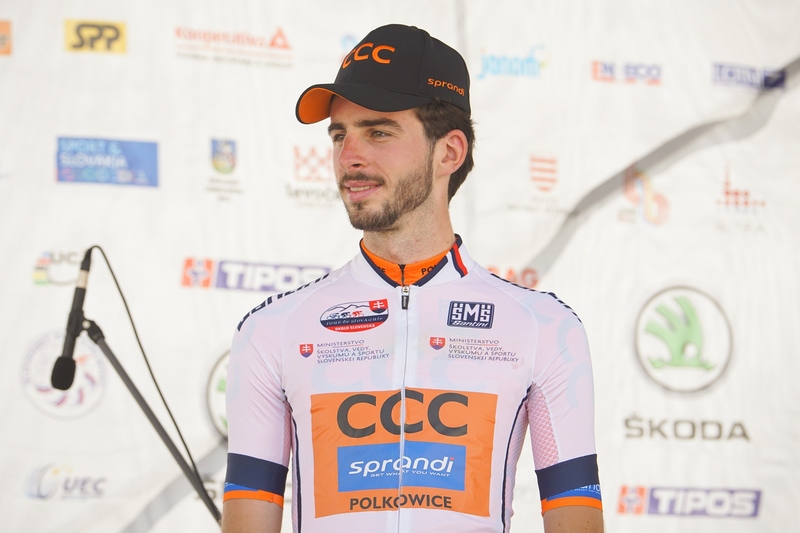 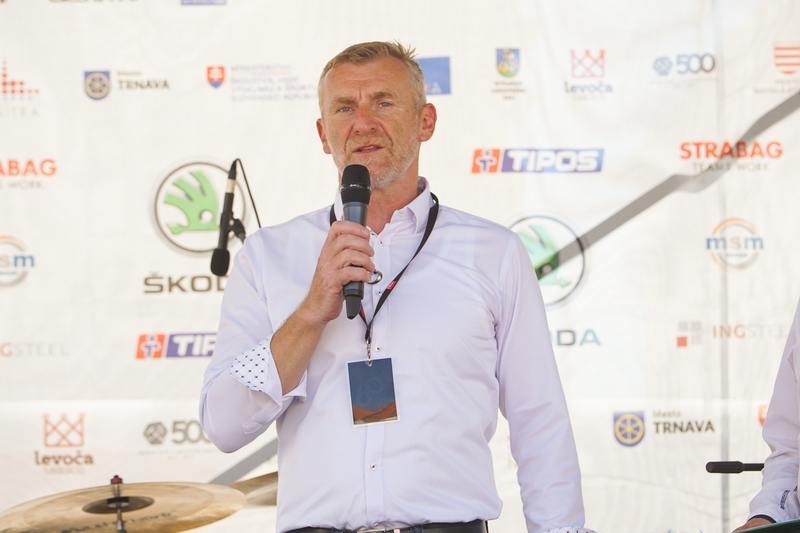 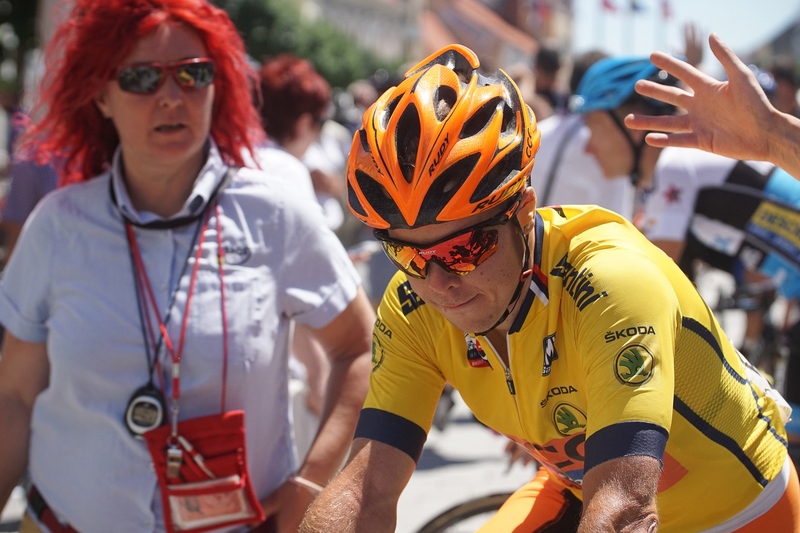 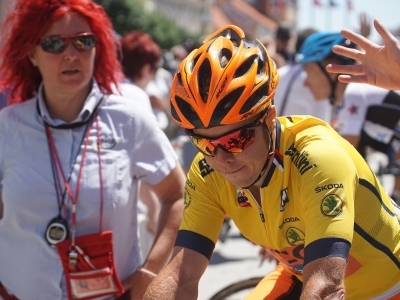 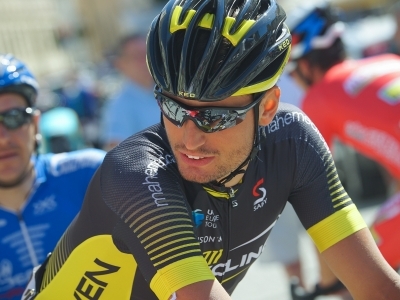 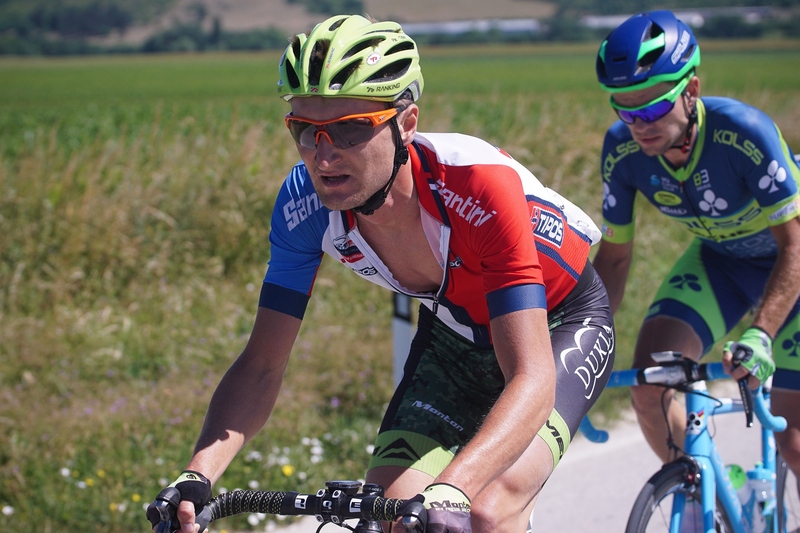 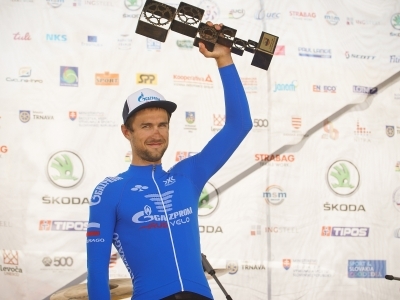 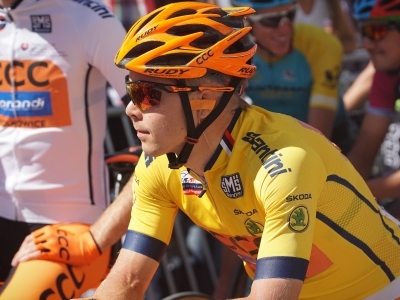 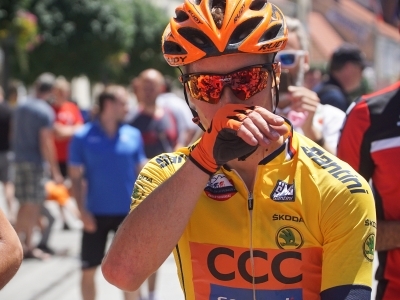 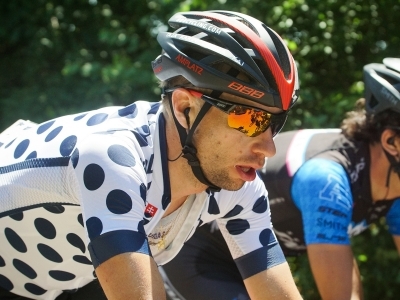 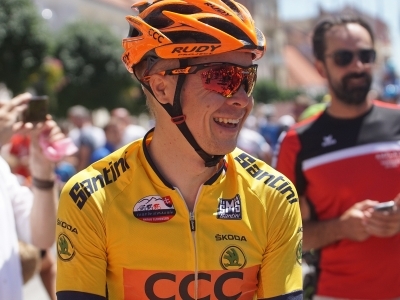 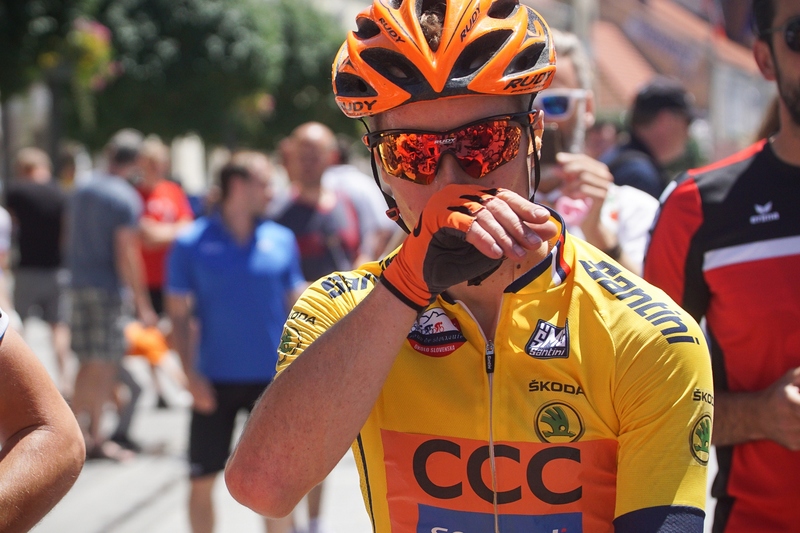 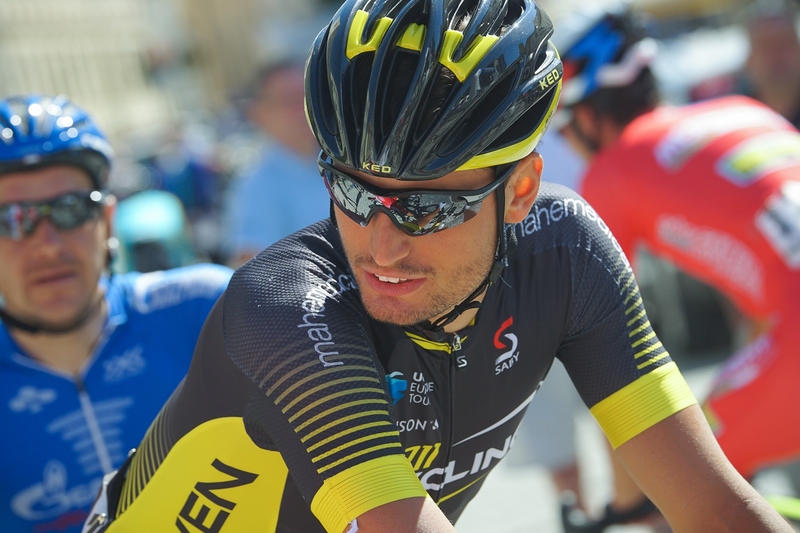 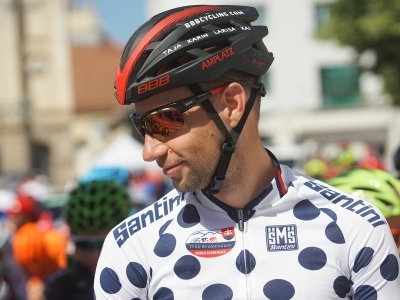 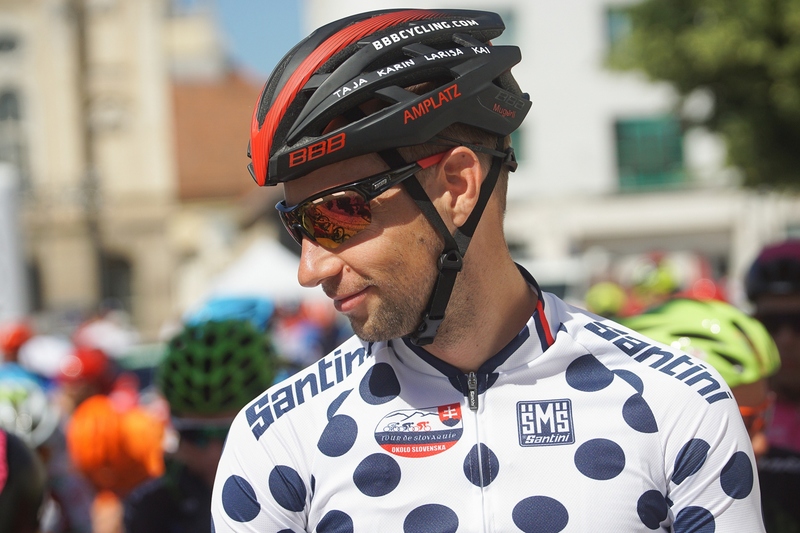 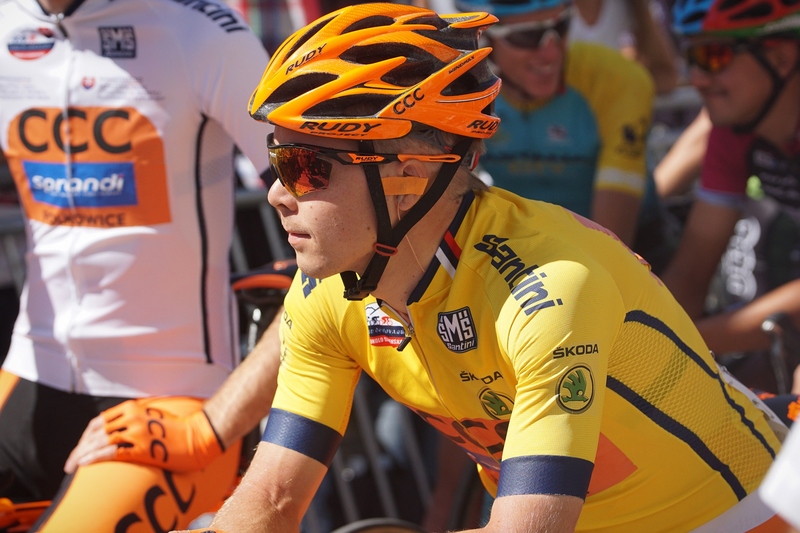 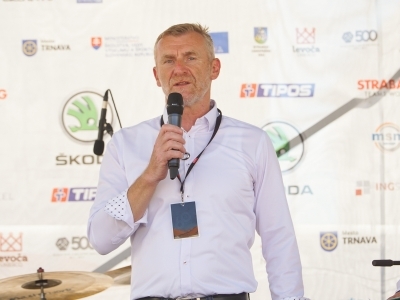 Jan Tratnik of CCC Sprandi Polkowice is an honored winner of the overall sixtyfirst annual of The Tour of Slovakia. 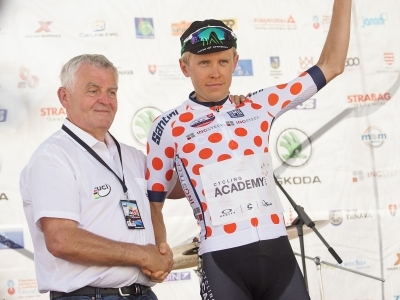 He even fought enough to win himself a jersey in the Points competition. 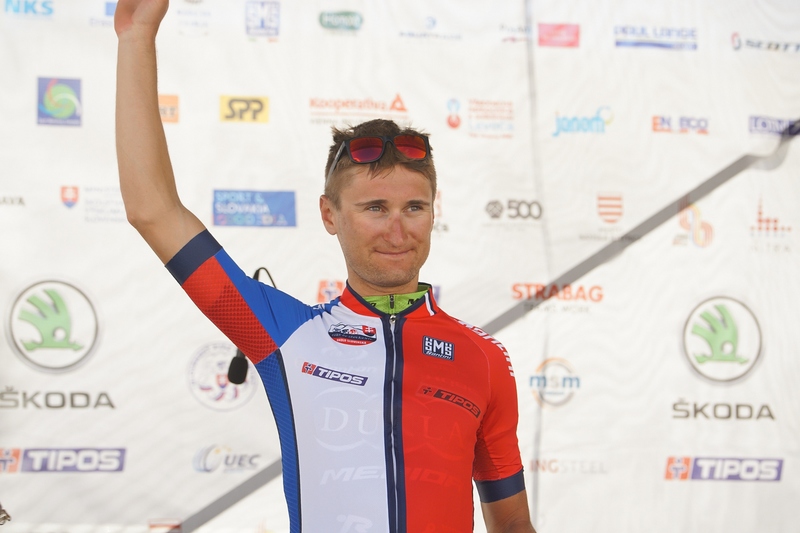 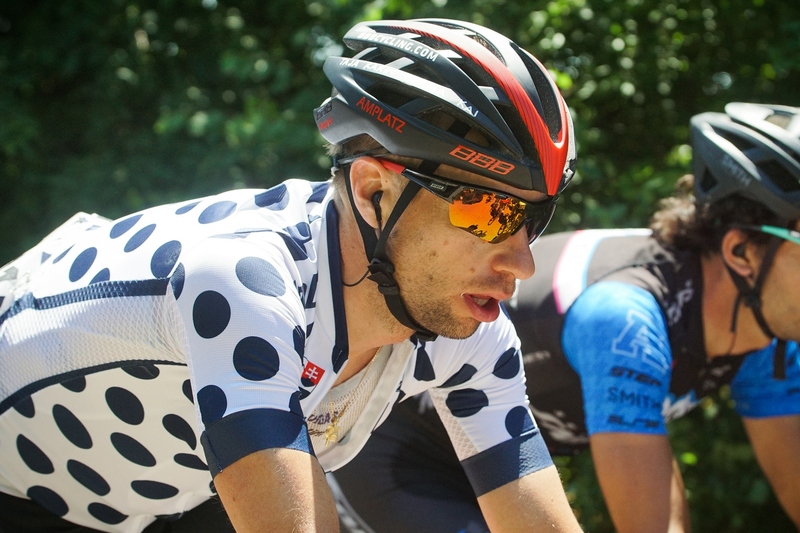 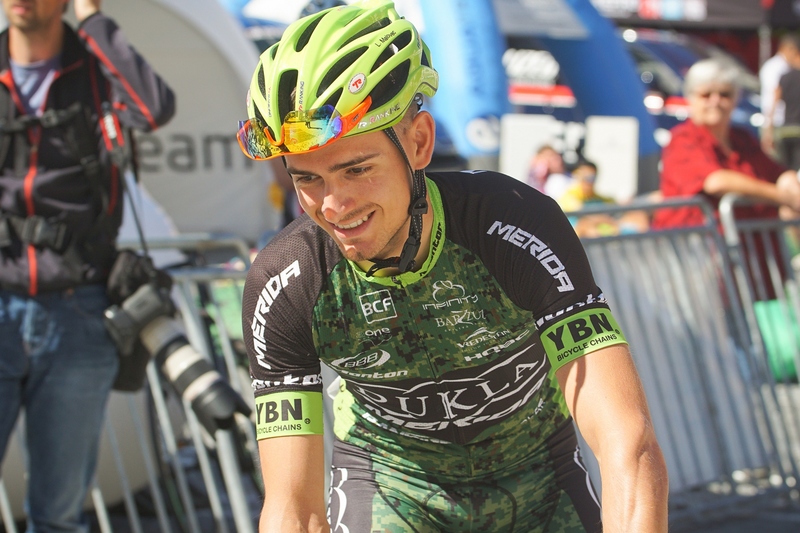 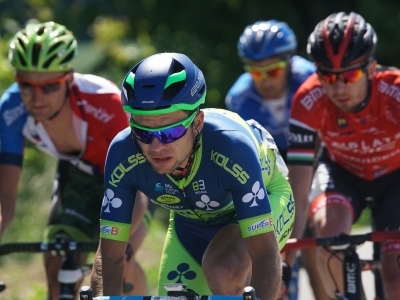 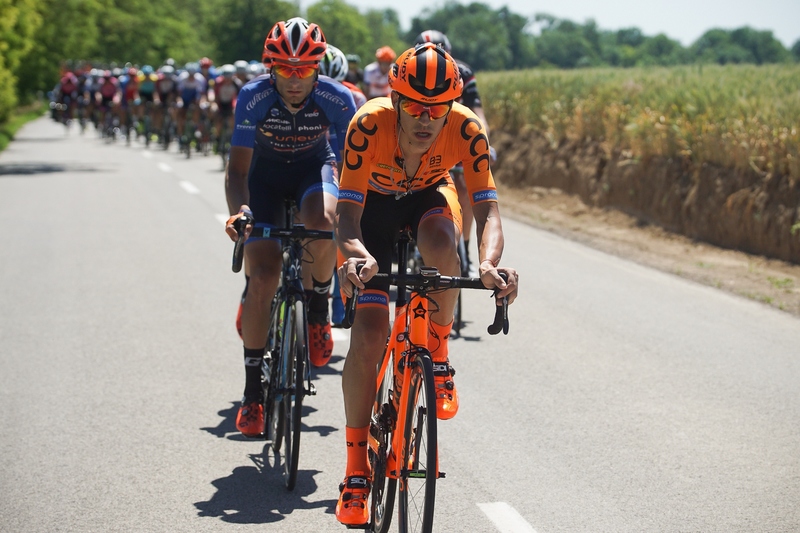 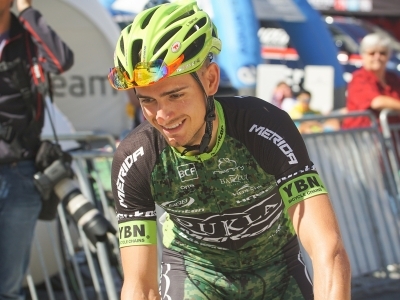 His colleague, Piotr Brožyna, had seized the first position among the riders less then 23 years old.